In cooperation with Riccardo Torresi and Mani Sharma. Falling is a minimalist yet playful intervention on how to interweave physical and virtual realities. 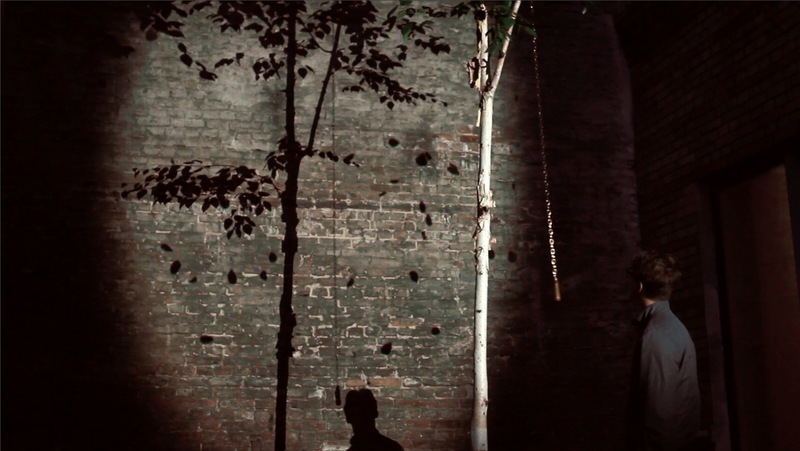 In the installation, light is projected onto a birch tree, casting a shadow on the wall behind it. Without any further comment, a handle hangs down from the treetop on a chain. When a visitor steps close to the handle, his own shadow becomes part of the shadow play on the wall. When he pulls the chain, a handful of leaves comes falling down from the treetop - but only in the shadow's reality.